Holographic atomic memory, invented and constructed by physicists from the Faculty of Physics of the UW, is the first device able to generate single photons on demand in groups of several dozen or more. 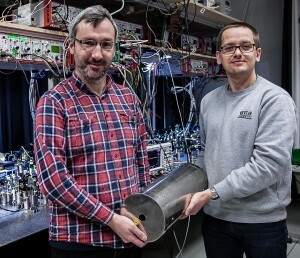 Completely secure, high-speed quantum communication, or even a model of quantum computer, may be among the possible applications for the new source of single photons recently built at the Faculty of Physics of the University of Warsaw. 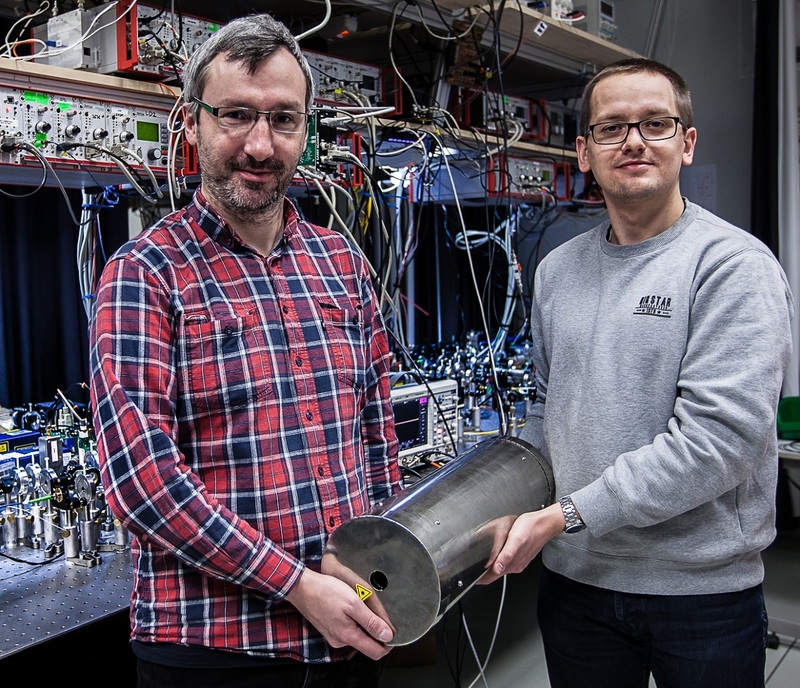 An unprecedented feature of this new device is that for the first time it enables the on-demand production of a precisely controlled group of photons, as opposed to just a single one. – Compared to existing solutions and ideas, our device is much more efficient and allows for integration on a larger scale. In the functional sense, one can even think of it as a first equivalent of a small ‘integrated circuit’ operating on single photons – explains Dr. Wojciech Wasilewski from the UW, one of the authors of an article published in the renowned scientific journal „Physical Review Letters”. 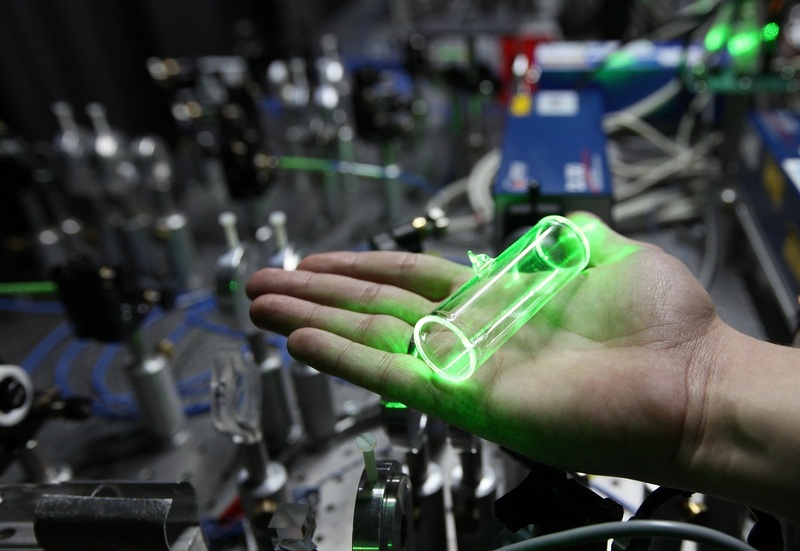 In 2013 a team of physicists from the Universities of Oxford and London proposed a much more efficient protocol for generating groups of photons. The idea was to place a quantum memory at each source, which would be capable of storing emitted photons. The photons stored in the memories could be released at the same moment. Calculations showed that the time scale required to wait for a group of 10 photons would then be shortened by a whopping ten orders of magnitude: from years down to microseconds. The new memory, which was built with the support of PRELUDIUM and SONATA grants from Poland’s National Science Centre and the resources of the PhoQuS@UW project is a spatially multimode memory: individual photons can be placed, stored, processed and read in different areas inside the cylinder, acting as separate memory drawers. The write operation, performed with a laser beam, works by preserving a certain spatial model, a hologram, in the form of atomic excitations. 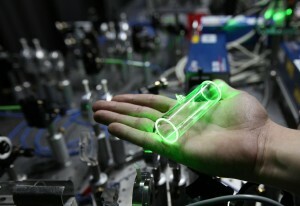 Illuminating the system with the laser allows us to reconstruct the hologram and read the memory’s content. More information about the ‘integrated circuit’ is available on the website of the Faculty of Physics.